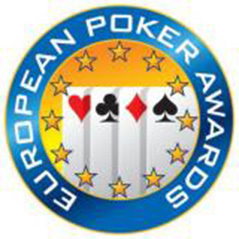 2010 was a tremendous year for British poker so it's no surprise to see players from Blighty well represented in the European Poker Awards nominations which were announced yesterday. The ceremony takes place on 13th February in Paris with big names such as Liv Boeree, Jake Cody, Chris Moorman, James Bord, David Vamplew and Toby Lewis all in contention for gongs. As well as awards for the top players the cream of poker staff will also be recognised with Mad Marty Wilson, Simon Trumper and UKIPT director Kirsty Thompson up for the Poker Staff Person of the Year award. There is also a Poker Personality of the Year award that will be won by Jesse May, Tony G or Big Deal author Anthony Holden.